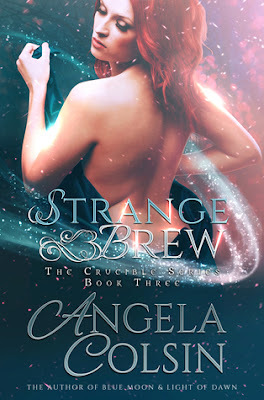 Synopsis: Feeling out of touch with her magical gifts, Aislinn Carmichael is a witch seeking a means of restoring her ability to its fullest potential. Despite the warnings of family and friends, the endeavor inevitably drives her to accept the initiation trial of a witch coven called The Trine. When a witch and a werewolf find love, it's pure magic! We return to Arkin City, but this time it isn't a lupine that we're rooting for. It's our resident witch, Aislinn, who we met in the first book of this series. We do catch a glimpse or two of our original characters and a few new ones! This series is quickly becoming one of my favorites! Each story is entirely different, filled with creatures of all kinds and romance aplenty. Four suns and on to the next book!